Developer Express engineers feature-complete visual components and IDE tools for Visual Studio .NET. Our technologies help you build your best, see complex software with greater clarity, increase your productivity and create stunning applications for Windows® and ASP.NET in the shortest possible time. All of our products come with a 60 day unconditional money back guarantee and fully functional evaluation versions are available for download at www.devexpress.com. To build stunning and flexible applications, you need feature complete components…Ones that work as expected, each and every time. 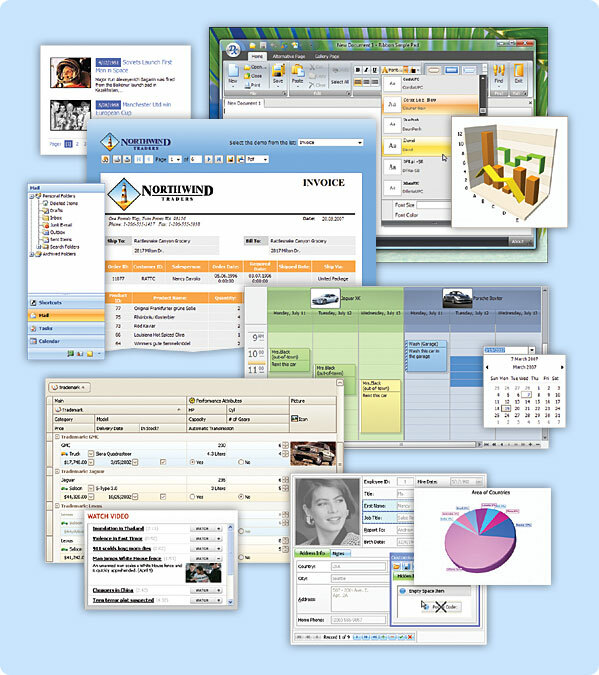 Our complete range of visual components will help you emulate today’s most popular UIs – from Office 2007 to Windows Vista – without hassles and aggravation. Today, software consumers demand more than ever before from developers. The pressure to deliver more features with higher quality in less time has never been greater. Developer Express created CodeRush™ & Refactor!™ for Visual Studio® .NET to help developers and managers meet these increased demands for quality and functionality, by boosting productivity while eliminating the repetition that erodes precious creativity. To learn more about CodeRush and see its capabilities in action, visit our website at: http://www.devexpress.com/CRTraining. XtraReports™ is a next generation reporting platform for Windows® Forms and ASP.NET developers. XtraReports was engineered to help you create stunning reports for your end-users in the shortest possible time - yet maintain all the capabilities you've come to expect from today's most powerful reporting solutions. 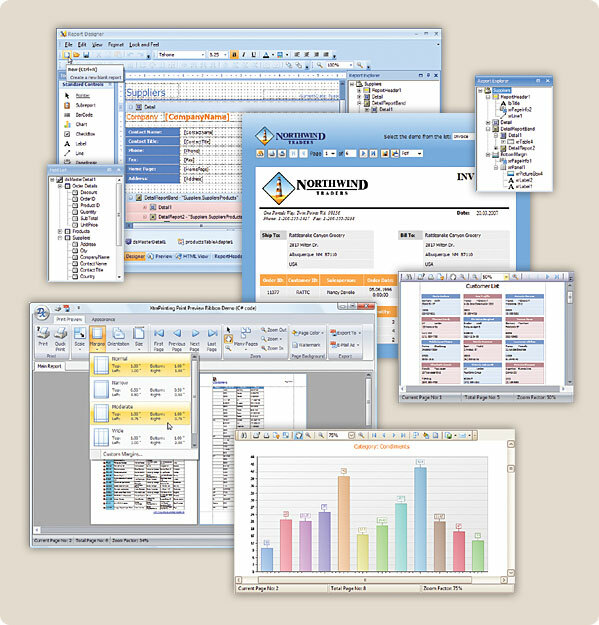 With full Microsoft® Visual Studio .NET integration, XtraReports Suite allows you to build reports in the same exact way you build a typical Windows® Forms application. 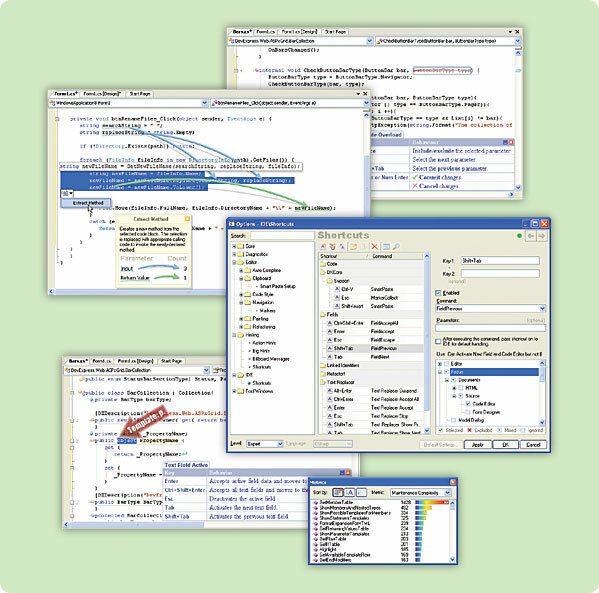 XtraReports uses the same code editor (C#, VB.NET or J#), the same Property Grid, the same component Toolbox, the same alignment toolbar, and ALL available Visual Studio IDE resources. To learn more about the XtraReports Suite, visit our product information page today.